The back field is our driest one, so it’s usually Hooligan’s during the winter. Luckily, he wasn’t in it when Storm Frank hit us with his worst last week. 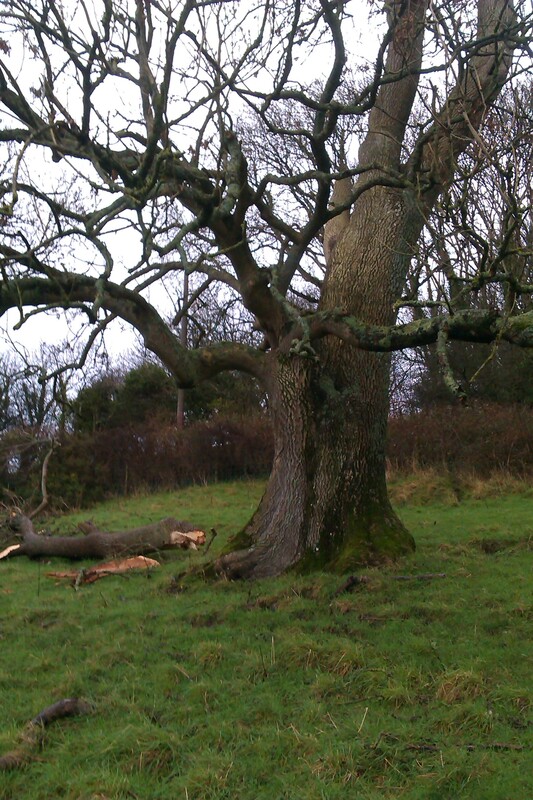 The old ash tree in that field is over 140 years old – not bad for an ash, we think. Ash trees tend to grow in a forked shape if they are left to their own devices, and one part of the tree must have broken off in the wind. However, it had help! You have heard me tell before of the plentiful wildlife there is on this farm. We have foxes, badgers, an otter, the odd hedgehog (though not many, thanks to the badgers) and plentiful bird life, because of all the trees. 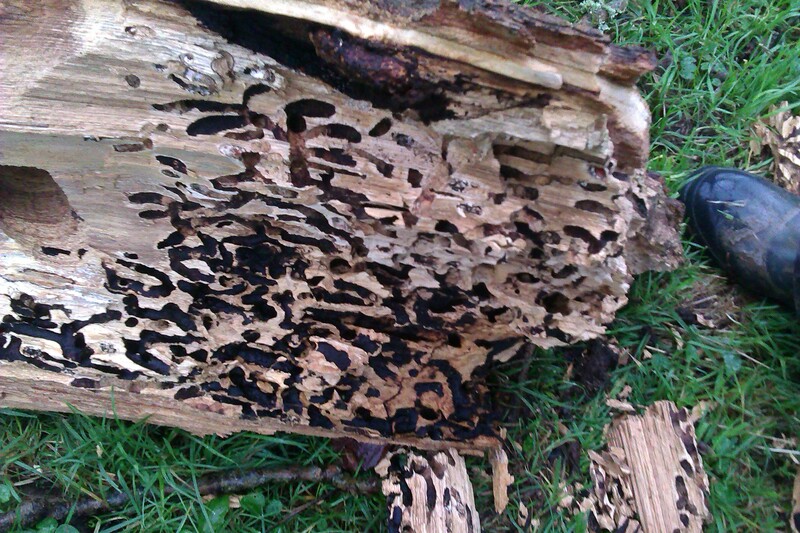 One of the most interesting of these birds is the woodpecker (lesser spotted) which makes its home in the old ash tree. We often hear it hammering away and now that the branch has fallen the inroads are plain to see. 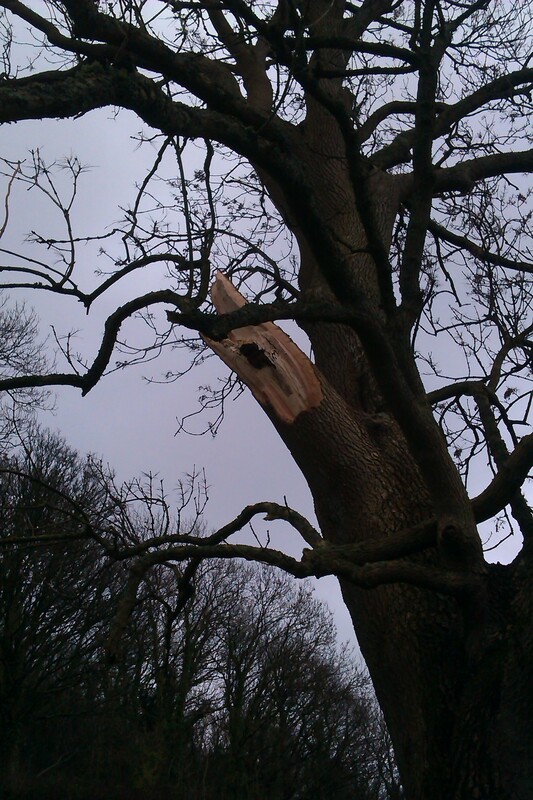 And right in the middle of that huge broken bough is a prime example of woodpecker engineering. 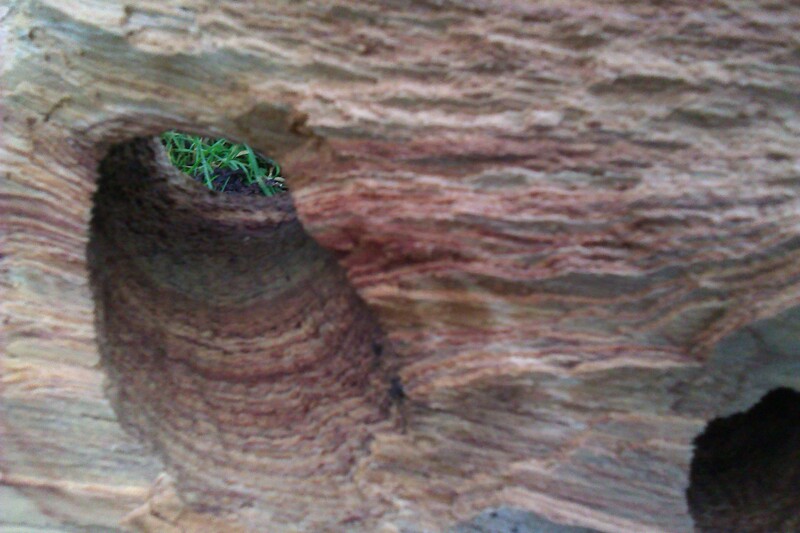 We horses were fortunate not to be near that tree when it crumbled. 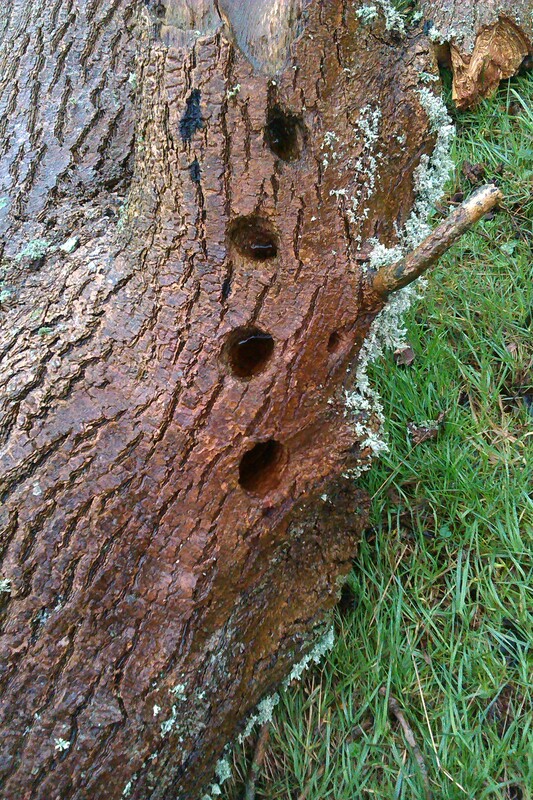 Storm Frank has gone to terrorise someone else and we guess the woodpeckers will have to look for a new home! 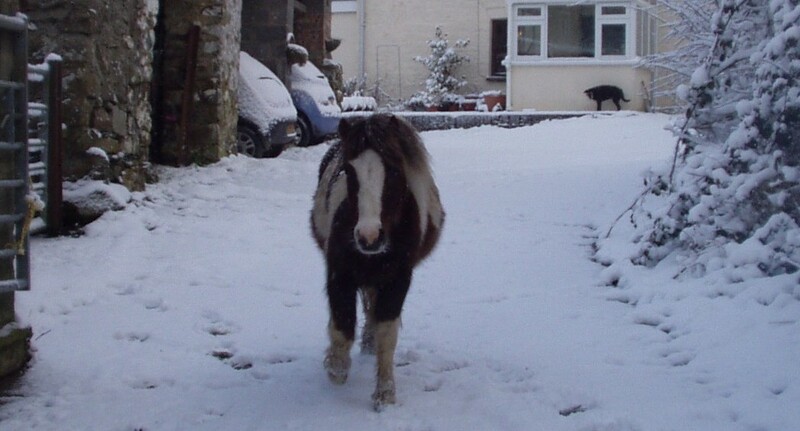 This entry was posted in Hints on horse care, Life and Times, Storm Frank, Wildlife and tagged Storm Frank, Trees, Wildlife on January 4, 2016 by sallylearoyd.